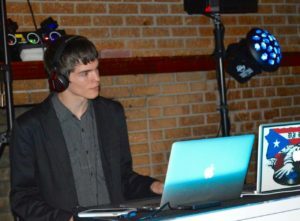 Cody loves to mix together all varieties of music that are great for the dance floor. He is easy to work with, enthusiastic, well organized, and can get along with anybody. He's reliable and his friends & family always ask him to play music for them, whether it's techno, rock, pop, funk or even country. Cody's speciality events are children, teens and sweet sixteens.